Ukraine's stagnant economic standing was acknowledged by private equity fund manager and economist Vladimir Kompaniets on his Facebook page. He noted the IMF's October report pushed tiny Moldova dramatically ahead of its former parent country to 133rd in world rankings, with US$2,694.469 GDP per capita, while Ukraine's GDP per capita stood at US$2,656.01, 134th in world terms, the lowest in Europe. Moldova also pushed ahead of Ukraine significantly in terms of average annual salary — in the second quarter of 2018, it stood at US$375,82 dollars in Moldova, and US$325/23 in Ukraine, again the lowest in the world. Quite how the IMF will respond to the developments is unclear as of October 16, but allocating yet further funds to assist the ailing country may be out of the question — the country is backsliding on required reforms, in keeping with a tendency evidenced since 1994. It's estimated the country has drawn less than half the IMF funds it could have received since then, as governmental commitment to change generally weakens if and when its economic indicators improve. The International Monetary Fund in Washington, D.C.
Its current $17.5 billion IMF funding program — granted April 2017 — expires March 2019, raising serious questions about whether Kiev will be able to service its mounting national debt. In particular, the IMF has demanded Ukraine hike gas prices and manage its budget deficit — the government's failure to do either means it has reaped only US$8.7 billion of the potential total available, but its debt obligations are due to peak 2018-2020. The gas and deficit obligations are longstanding — Prime Minister Volodymyr Groysman agreed to raise tariffs in 2016 but failed to, and former Prime Minister Yulia Tymoshenko's government in 2009 committed to a 20 percent gas price hike and received a US$3.3 billion aid tranche in return, but cancelled the hike in August 2009. 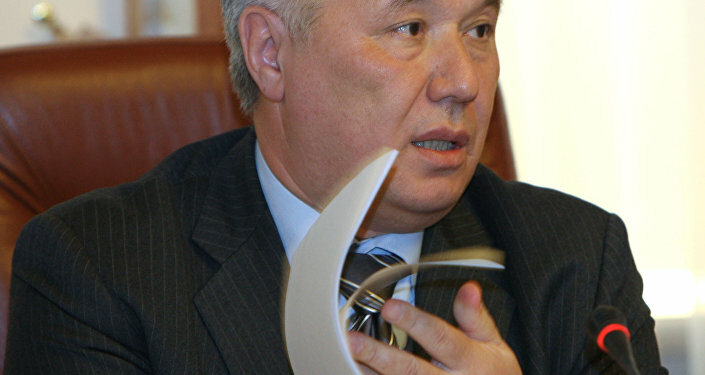 Successor Mykola Azarov agreed in 2010 to increase prices 50 percent but later refused. Speaking to Reuters in August, Yuriy Yekhanurov, Ukrainian Prime Minister in 2005-2006, said the country's leaders treat IMF negotiations like a business deal. "They need to survive now, are not interested in what will happen tomorrow, in two years…they take obligations that are almost impossible to fulfil. Business people are used to negotiating and think they will negotiate all the time," he explained. As a result, since agreeing its first IMF programme in 1994, Ukraine has received only around US$31.5 billion of US$73.15 billion. If the country crashes out of the current program, it could lose the confidence of international backers, have its credit rating downgraded, and the government will be forced to borrow money elsewhere at a higher rate — quite which country or institution would offer it is not clear. Nonetheless, Kiev may well have good reasons for resisting the IMF's demands — the current loan program has decreased energy consumption in Ukraine by 30 percent, significantly diminishing living standards across the country. The situation is so dire UN special rapporteur on extreme poverty and human rights Philip Alston has called on the Fund to "embrace a politically and socially sustainable social protection policy" to address the harmful impact of energy subsidy 'reform'. 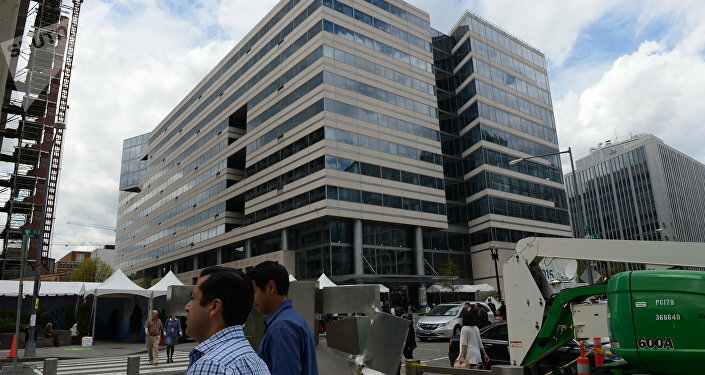 The IMF has proven myopic on other 'reforms' in the country in addition, praising Kiev's moves to privatize over 3,000 state-owned companies on the assumption exchanging high levels of regulation for almost total deregulation motivates economic growth and prevents corruption. This view is not shared by anti-corruption organizations. In April, Transparency International demanded the IMF address gaps in Ukraine's money laundering frameworks, criticizing the IMF's own significant role own in growing global corruption by enforcing rapid privatization of public enterprizes. Still, Kiev must rectify its underlying economic issues or face calamity — it has a growing liquidity issue, with a mere US$0.8 billion in its foreign exchange accounts, only enough to last until November. Domestic liquidity is likewise in a parlous state, with disbursement of state pensions delayed in July, and the state treasury's balance its lowest in four years. Timothy Ash, Senior Emerging Markets Sovereign Strategist for Bluebay Asset Management Company, said while it's not inconceivable Ukraine "could survive" through to its general election, policy makers would be taking a "huge gamble" by doing so. "I don't think that is a risk worth taking. The Ministry of Finance's cash balance is down to the lowest level since pre-Euromaidan, living hand to mouth. They've left themselves dependent on the cash budget position improving plus markets remaining open for them. They face a weight of debt service which without IMF financing, if markets remain closed will end up putting downward pressure on foreign-exchange reserves. The NBU has built foreign-exchange reserves to just below US$18 billion, which seems a lot, but seasonals now move against the hryvnia, while Ukrainians always buy foreign currency in the run up to elections. If reserves begin to drop, then this might turn vicious and self-fulfilling. Why would you take that chance? Why you would risk pension payments by not hiking gas prices when 6.5 million households are covered by subsidies?" he explained.